This month is #Vapril, a campaign organised by UKVIA (UK Vaping Industry Association) an information forum for Vape product manufacturers and their customers alike. Vapril aims to share the facts and figures behind opting for vape instead of cigarettes, ex smokers stories and their 3 step Vapril challenge. It is clear that vaping is a step in helping smokers to quit nicotine entirely, and aid others in their process to stopping. However, with a £1bn industry that is expected to surpass £2bn in sales by 2020 , there comes great responsibility, and lots of rules and regulations that producers need to abide by to sell their products: and most of it comes down to their packaging. 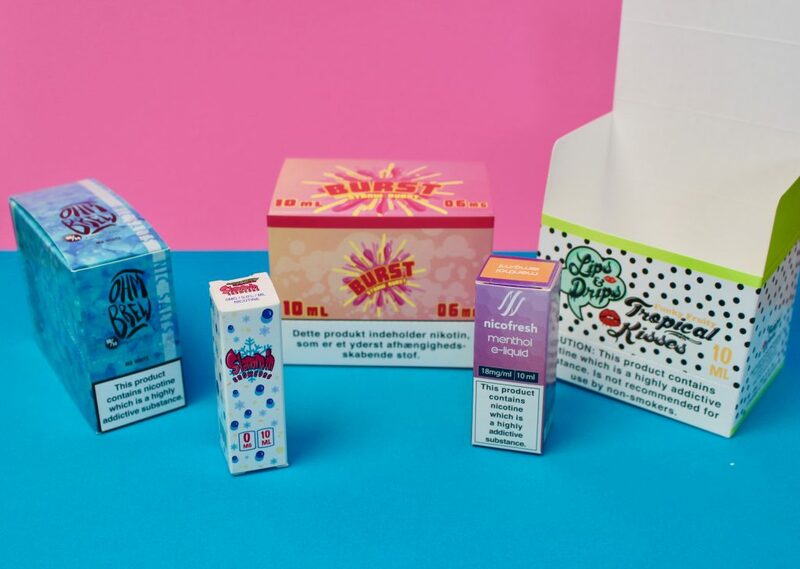 We’ve produced many shelf-ready displays and individual 10ml boxes for leading vape oil brands, and as we covered in our blog before, we are fully equipped to provide Regulatory-Ready Packaging for our customers and potential customers. 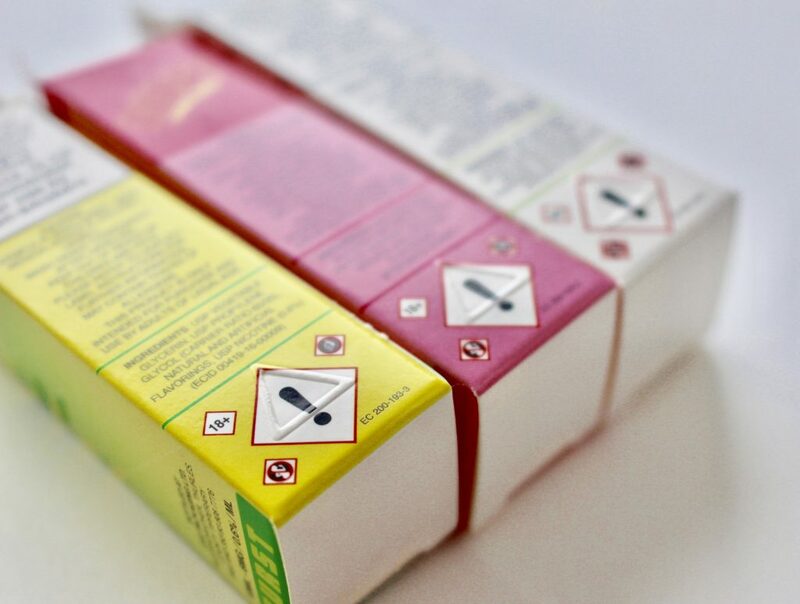 UK vaping packaging must have nicotine and government warnings that take up 30% of the front and back of the packaging. In addition, we have been asked to braille emboss warning labels on vape packaging for an e-cig customer who required it. We’ve put the processes in place to ensure our customers packaging is TPD compliant. Whilst Vaping is a growing industry with evident health benefits, it is vital that producers work with packaging suppliers who can provide responsible, regulatory and retail ready packaging. Print individual vaping oil boxes, multi-packs (holding more than one oil) and easy to assemble shelf-ready packaging for your suppliers with grab and go ease for your customers.